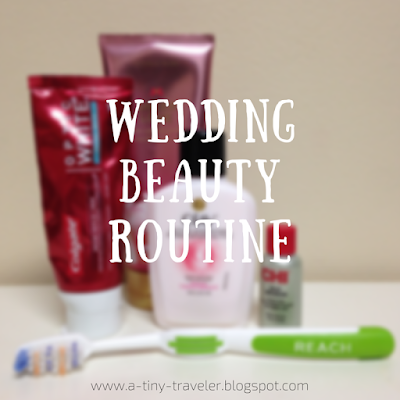 Wedding Beauty Routine: 3 Months to Go! In just three and a half months, I will be saying "I do" to a lifetime with Mark. I will be walking down the aisle, saying my vows, and marrying my best friend. I am so excited. I am like, beyond excited! This summer I will be attending 3 more weddings (and I'm in 2 of them) so it is really important that I am taking care of myself. I want to look my best on these big important days! 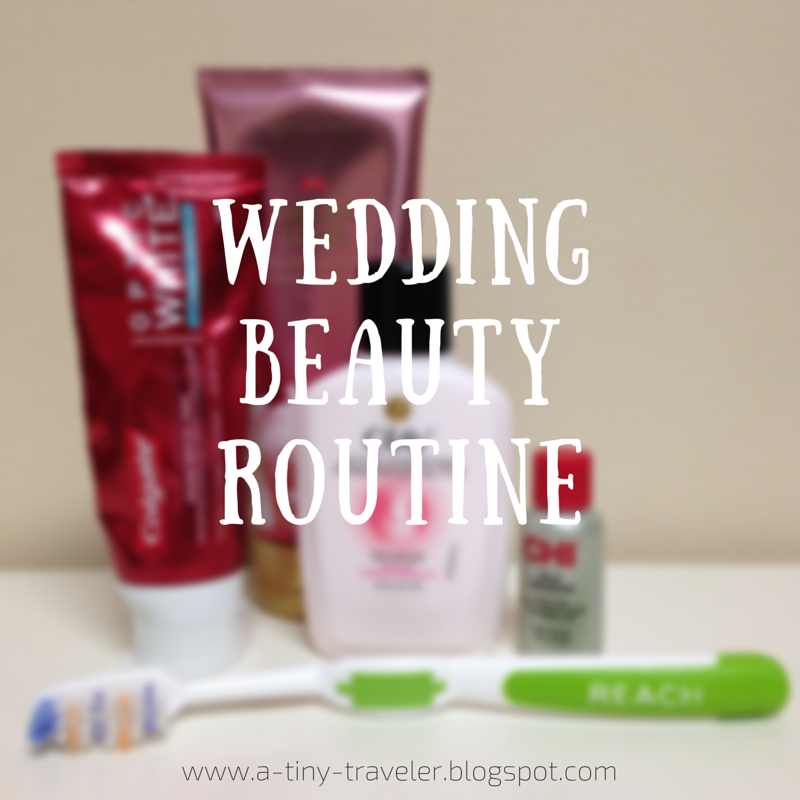 Today I am going to be sharing with you my beauty routine for my wedding in September. I'm just going to cover the basics in this post and then maybe in a few weeks I'll post a wedding makeup tutorial or some options that I will be choosing between. For now, I want to talk about exfoliating, moisturizing, and teeth whitening! First up, in my morning routine I wash my face. I love pink grapefruit face scrub but I left my tube of it at home so I had to by a new bottle. For the time being I am using Clean & Clear morning burst. It's really exfoliating and smells great. It wakes my skin up and prepares me for any early mornings I have. After I wash my face, I brush my teeth using Colgate's whitening toothpaste "Optic White." I truly have been noticing a difference in the color of my teeth and I make sure to brush 2-3 times a day to keep my teeth looking pearly white and clean! No one wants a bride with bad breath! After that, I moisturize my face. If you know me and my living habits at all you'll know that I am a HUGE proponent of face moisturizer. When you put lotion on your face, it keeps it looking fresh and retains the elasticity so when your skin starts to age, you don't get sagging wrinkly cheeks and a wrinkly neck. I don't know about you but that was good enough for me, and now I moisturize every day! I use Oil of Olay. It is perfect for my skin type, and doesn't leave it feeling greasy or smelling perfume-y. It also absorbs really quickly so I don't feel like there's a heavy gunk on my face. I would highly recommend this lotion. For my body, I usually use an unscented kind but I ran out of perfume (story of my life) so I started using this scented lotion from Victoria's Secret until I can go get some more. Especially with tattoos, it is important to use unscented lotion so your skin doesn't dry out from the chemicals used to scent the lotion. As a final treat, I've been using CHI silk infusion in my hair. My stylist at the hair salon gave me this mini bottle as a free sample and she said people use it in their hair and on their skin, but it's way too oily for me to ever use on my skin, so I put about a quarter-sized amount in my hair before I blow dry it. It leaves it so silky! What have you been using on your skin, teeth, and hair? I would love to try out some new products or hear some tips from my readers. Comment below with your favorite hair care and skin care products! This is such a great post! I got married in the winter, and my face is usually pretty clear without all the heat, so I didn't worry about it and I SHOULD have! Haha, it would have made those pictures prettier. I love ideas for whitening teeth, too. Congrats on the three month mark!!! Thank you Gennie! :) I'm so excited. Thank you Kaycie! Glad it gave you some things to keep in mind and maybe some products to try :) Congratulations to you and Asa! It's such an exciting time!